The 5.5 dBi APXtender indoor rubber duck omnidirectional antenna is used to extend the range of indoor access points or client bridges in 802.11 2.4GHz wireless LAN environments. The antenna features a 360° horizontal transmission pattern and a 50° vertical transmission pattern. The transmit/receive element can be tilted in relation to the base to direct signal where it is needed (0°, 45°, 90°). 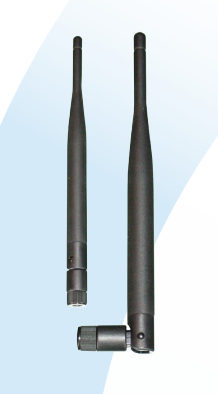 The antennas are available in various connectors to fit most wireless radio equipment.